Warning: Side effects may include not wanting to come back inside until winter. 1. 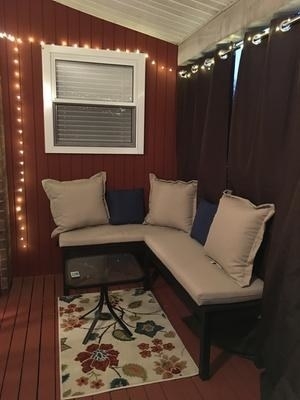 A loveseat with cushions that's the perfect size for a smaller patio. Coffee table sold separately here. 2. A heavy-duty 24-inch charcoal grill, because those burgers aren't gonna cook themselves at all those epic BBQs you're about to host. 3. 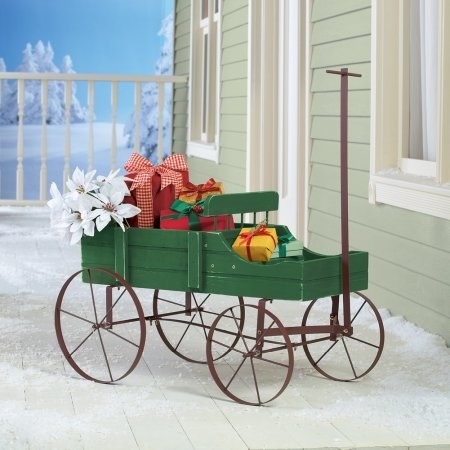 A ridiculously adorable wagon you can use as a planter in the summer and as part of your winter decor once the temps drop. 4. A charming gazebo that'll provide a shaded space for your next backyard get-together. 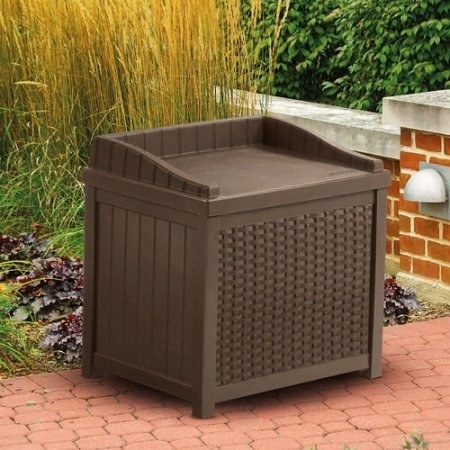 The gazebo is 8'x8' and includes the weatherproof top with a mosquito net-protected top vent. 5. A hammock, because don't you already feel more relaxed just imagining yourself lying on this on the perfect summer day? 6. 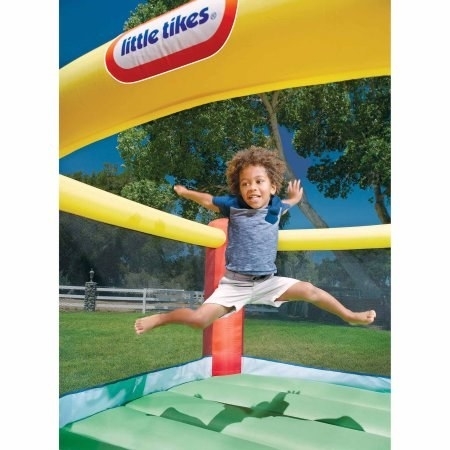 A super-durable bounce house with a slide that — warning — might make it pretty much impossible to convince your kids to ever come back inside. 7. A set of globe string lights for a fun way to light up your outdoor space in the evenings. 8. 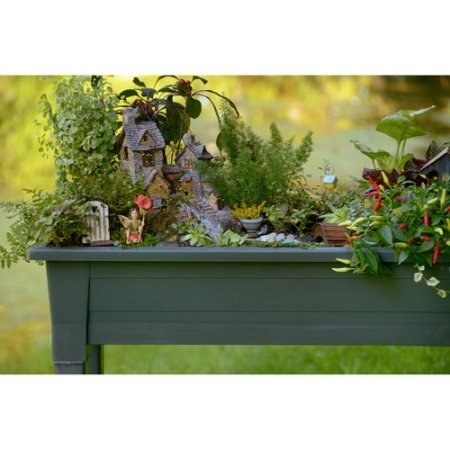 A pretty little planter that'll be a beautiful accent piece and let you comfortably and easily create a garden where space may be limited. 9. An inflatable pool lounge that's so cheap you're probably gonna want to buy a few of them for your next pool party. 10. Or, hey, perhaps step it up a notch with this giant inflatable camel float for extra points with the kids. 11. 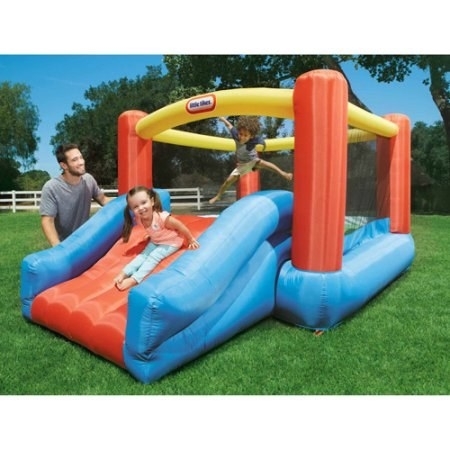 And if you don't have an in-ground pool, how about this inflatable pool that's as fun as it is affordable? 12. A 9-foot umbrella so you can always have a shady spot to hang in when it's bright and sunny outside. 13. A chic fire pit that's practically begging you to buy a jumbo bag of marshmallows. Safety mesh screen lid and fire poker included. 14. 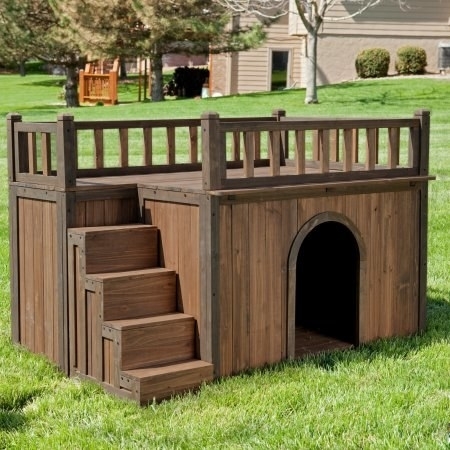 A deluxe doghouse so your pupper can enjoy their time in the yard too. The stairs can hold up to 140 pounds. 15. A best-selling swing set that's worth investing in, because it's about to become your kids' newest obsession. 16. A three-piece set with two Adirondack chairs and a side table — perfect for use around a fire pit or just to lounge on a gorgeous day. 17. A splurgeworthy wicker egg chair that'll probably be making more than a few Insta appearances this summer. 18. A garden scooter to make tending to all your greenery much easier, even down the narrowest of garden paths. 8.5 gallons of storage, a cupholder, and a lid. 19. A three-seat canopy swing you'll want to spend all your lazy summer weekends on. 20. A tiered fountain topped with a pineapple design that'll instantly make your garden look glam AF. 21. A three-piece set with two chairs and a table so you can comfortably dine al fresco all season long. 22. A beach-ball sprinkler sure to become a hit at your little one's next summer birthday party. 23. An outdoor/indoor rug that'll tie all of your patio or yard furniture together. 24. A wicker bar cart so you can entertain with ease and make "rosé all day" a reality this summer. Promising review: "This was a hit! Better than expected for great, low price. 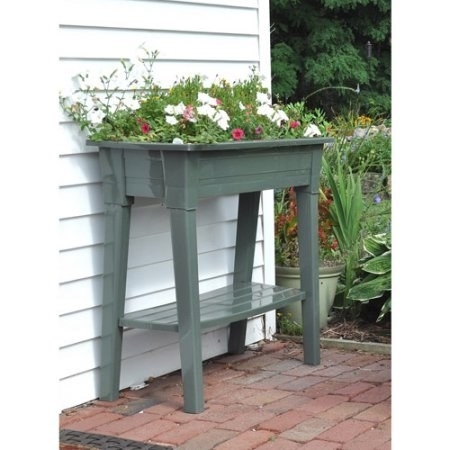 Very attractive, easy to assemble, and super functional. The hanging glass rack, ice bucket and deep pocket areas for bottles and utensils work perfectly! 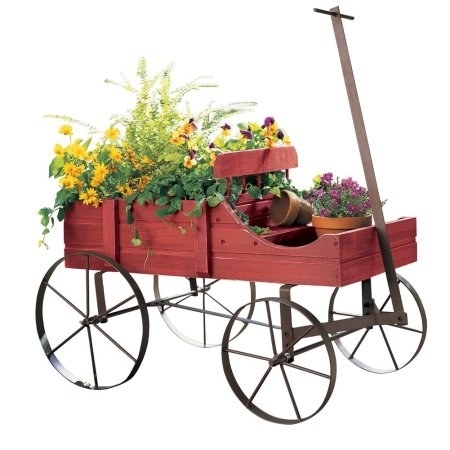 Wheels allow easily movement and it has become a mainstay of our outdoor entertaining! Really love it!" 25. A convertible outdoor sofa, because honestly, what's the point of having a yard if you can't lounge out there on a couch all day? The wooden sofa is made with weather-resistant spun-polyester fabric and polyester fiber batting cushion filling; it holds up to 550 pounds. 26. 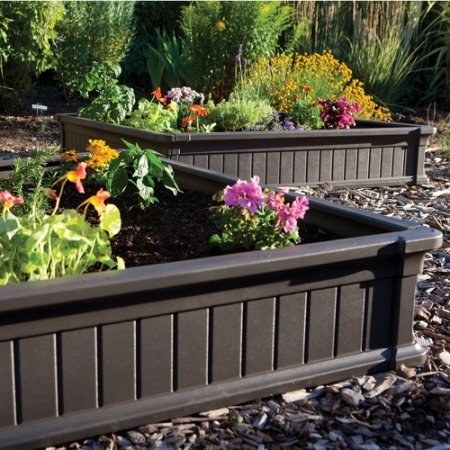 A raised garden kit that'll make all the neighbors ~green~ with envy when they see the fruits of your labor. Promising review: "I purchased one box in store. After realizing the amount of seeds I purchased to plant I needed a couple more boxes. I purchased two more online. I've always done a few veggies in pots, with not-too-good results. I'm more of a flower gardener and not too successful with the veggies. Realizing after growing the veggies I planted in the boxes last year that more space was the key to my growing success! The boxes worked out great! I purchased two more boxes online for this year's planting season, which arrived a week ago, and can't wait to get started! My seedlings are waiting!" 27. A charming solar-powered wooden lantern to light up your space in an eco-friendly way. 28. 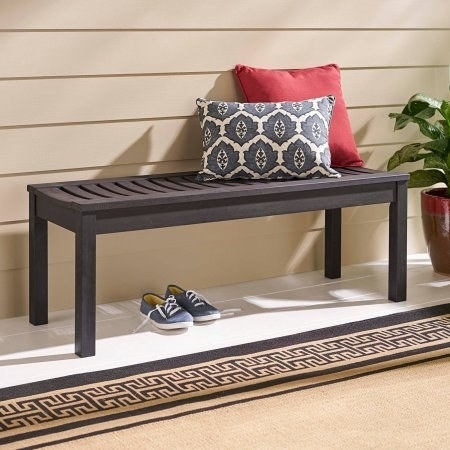 An outdoor bench for a minimalist accent piece that'll provide extra seating or a place to dry off after a dip in the pool. 29. A six-piece folding dining set perfect for chill weekend get-togethers even in smaller spaces. The set includes a dining table with a waterwave tempered glass tabletop, four sling steel folding chairs, and a market umbrella. 30. 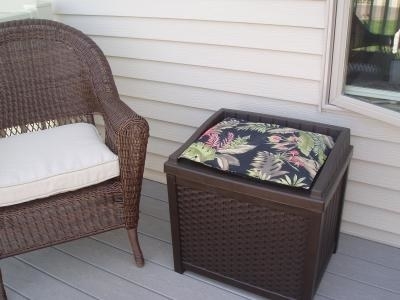 A wicker storage box you can use to do double duty as a seat or table. 31. 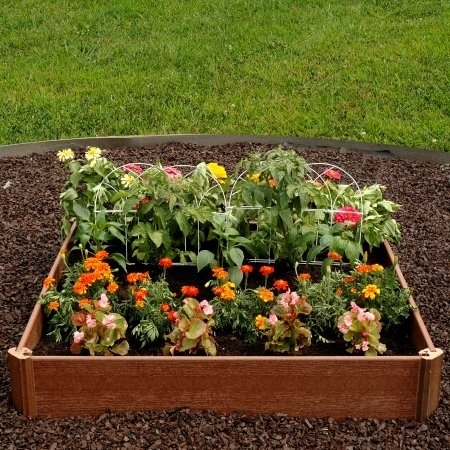 And a gorgeous planter that'll lend a pretty pop of color to your outdoor space. Some reviews have beed edited for length and/or clarity.